US Markerboard offers a full range of Padded Stackable Chairs and Plastic Stacking Chairs for outdoor and indoor use. Padded and Upholstered Stacking Chairs are comfortable and convenient for temporary events and expandable Seating options. Upscale Hotels and Restaurants will love Padded Stacking Banquet Chairs for their events and venue rooms. 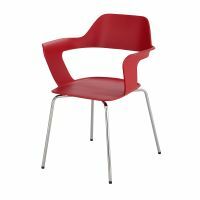 Modern Stacking Chairs give an updated feel to any kitchen or home in bright colors! They will be perfect for the person who is always ahead of the fashion curve. Band Chairs and Music Stands fit nicely on the Chorus Risers and Stages offered here at US Markerboard to produce the best music from any band! Stacking Chairs with Arms and Stacking Chairs on Wheels offer more versatility to where you�ll want to use these Chairs. If you need Plastic Stacking Chairs or Padded Stacking Chairs, you�ve come to the right place! Choose from many colors and designs and soon you can stack these Chairs onto Chair Dollies and Chair Storage for the next big event you have!